Art Alley is on Minna Street between 2nd Street and New Montgomery. Here you will find live and exhibited art. 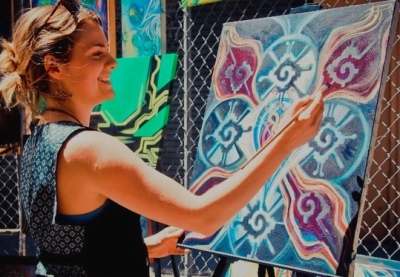 Art Alley will feature many artists and their artworks, including a number of live painters. Plus the ever-popular AnyBodyCanPaint Art Wall for anyone to paint just how weird and wonderful this world is. This year’s Art Alley is curated by ArtIsMobilUs, featuring their art bus. Plus music by Noahaccordian and Company.